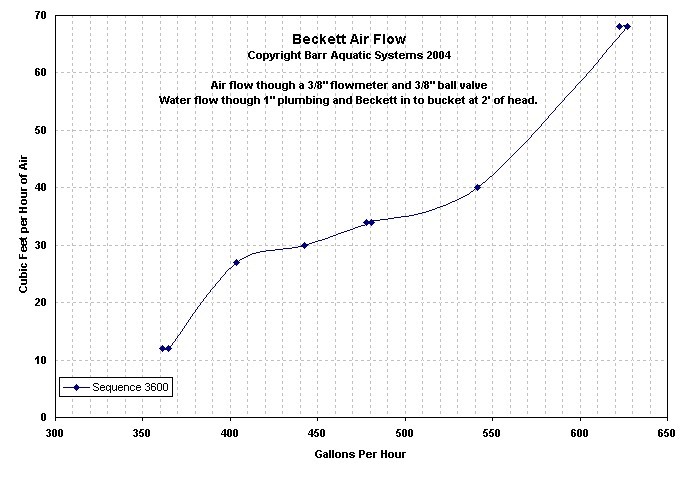 Here is a test chart of air flow, as driven by a 1/12hp Sequence 3600. SK8020: Dual Iwaki 70's, or dual Iwaki 100's, depending on your tank size. Three year warranty, Salt water seals and hardware. Direct drive. The 750 series works great for closed loops, or as a tank return. They are not high-pressure pumps, so don't run the skimmers well. I have run a 3600 on a SK5000, and it runs, but not as well as an Iwaki 55 does. These are very quiet pumps. One year warrantee from Little Giant, 115V/60 Hz, inline use only. Magnetic Drive. 3MDQ-SC: 1/15 HP, 0.8A, Inlet=3/4", outlet=1/2"
4MDQ-SC: 1/10 HP, 1.3A, Inlet=1", outlet=1"
One year warrantee from Iwaki, 115V/60 Hz, inline use only. Direct Drive.